Tubbygaijin.com » Ukon no Chikara – Magical anti-hangover drink! Ukon no Chikara – Magical anti-hangover drink! The other day, my friend Chris introduced me to Ukon No Chikara, an anti-hangover drink as we were heading out for drinks. 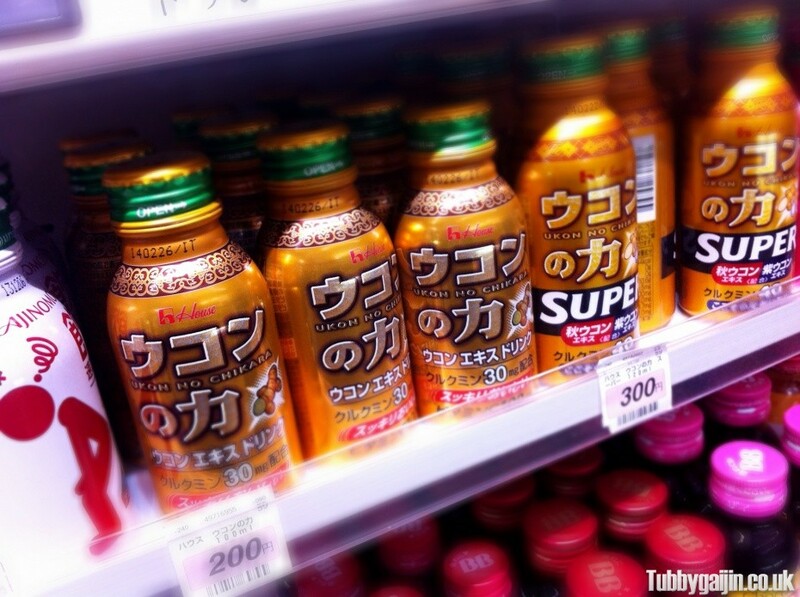 You can find Ukon No Chikara in most convenience stores, usually in the same section as the health drinks. Two sizes are available, regular(100ml) for ¥200 and larger and stronger super version(120ml) for ¥300. It’s made from turmeric, which is a relative of ginger and other chemicals which give it a strange yellow-green colour. Taste isn’t a high point for this drink either but it’s only 100ml and most people just drink it down in one go. I’m not exactly sure when’s best to drink it, but Chris recommended drinking this stuff about 30 minutes before having a drink. Does it work? I think so! The next day I felt just fine – who knows, it could just be a placebo but for the sake of ¥200 it’s worth a go! If you’re not in Japan and want to try Ukon, it’s available over at JBOX. One Response to Ukon no Chikara – Magical anti-hangover drink!